At Brewristas we pride ourselves on seasonal and premium produce. When nature is at its best we use it for our bodies as it provides higher energy and nutrients. Not to mention it makes us feel good when we are eating it! Offering simple and affordable yet high quality food is our mantra. 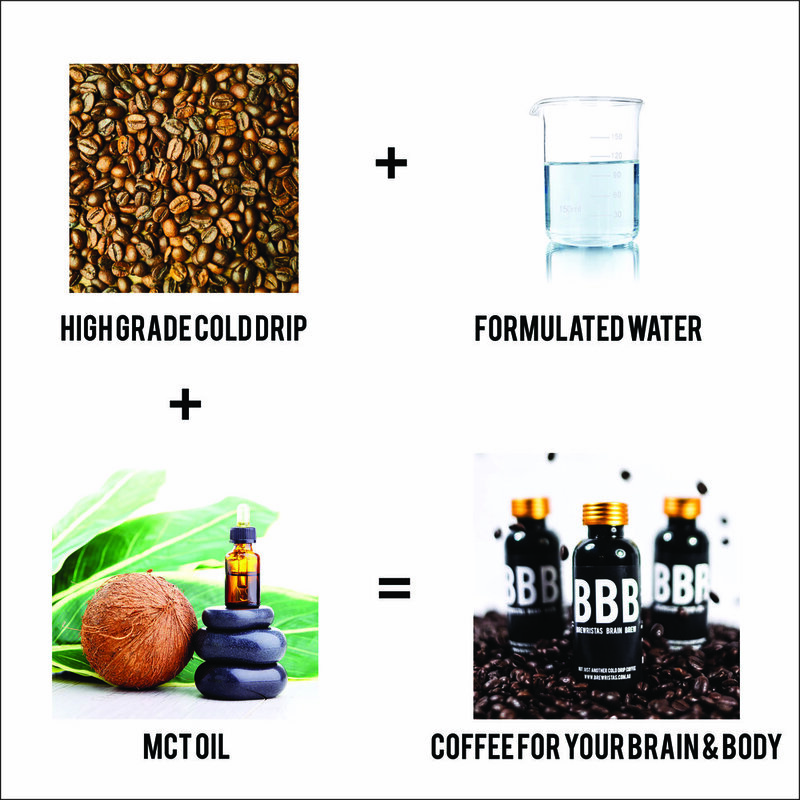 Our innovative and delicious BBB drink contains the most beneficial fatty acids of coconut oil (MCT oil), which is then added to a delicious cold brew dripped over 12 hours using Colombian beans (scoring 85+). Even the water used has been specially formulated to extract maximum flavour! We hate spam too, we won't spam you unless it's important. Your email would never be sent to a third party.